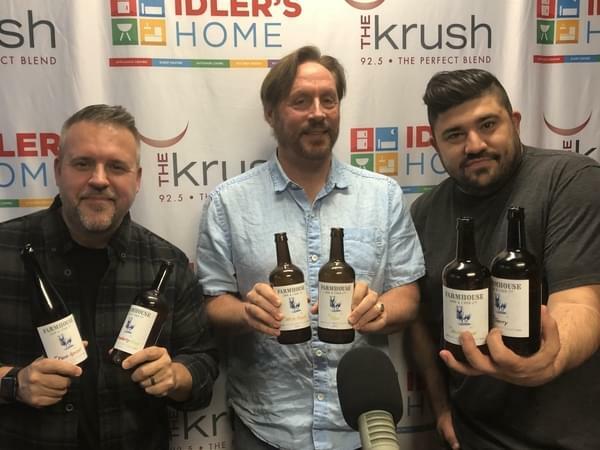 We got Kevin McLaughlin from The Cider Bar in The Creamery Marketplace in downtown SLO in studio today. WOW! These Ciders are absolutely incredible! Kevin makes the Cider for Farmhouse Cider and brought in some odd yet incredibly satisfying ciders to taste. We tasted a Wild Plum Apricot Cider, a Strawberry, Kiwi, Strawberry Kiwi, White Peach Wine, Asian Pear and Dry Cherry. Kevin gets into detail about just how much they carry at Cider Bar and it’s not just Cider. There’s 50 other Ciders from around the world, 100 different wines and 100 different beers to try. There’s even some amazing food! So what are you waiting for? Head on down to The Cider Bar!